Electronic Commerce (e-commerce) has emerged as a key issue in the run-up to the 11th Ministerial Conference of the World Trade Organization (WTO) to be held in Buenos Aires in December 2017. A number of countries across the development spectrum have backed inclusion of e-commerce in the WTO. Although the nature of disciplines that these countries favour is not entirely clear, yet the proposals strongly suggest that they would prefer using e-commerce as a vehicle for trade liberalisation in goods and services. Do We Need a Multilateral Instrument on Investment Facilitation? 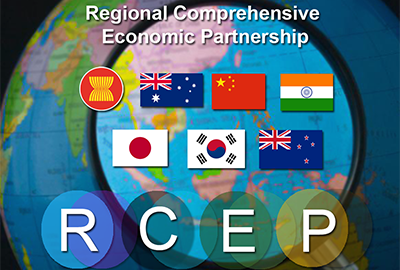 This e-pamphlet explains the proposed Regional Comprehensive Economic Partnership (RCEP), a mega-regional free trade agreement at the door of Asia Pacific, in easy-to-understand format. It outlines India’s current position on key elements of the proposed pact and highlights key sectoral concerns on agriculture, trade in goods and services, intellectual property, public health and investment protection. The e-pamphlet provides links to ‘leaked’ texts from the negotiations and a list of additional resources.